Yes! 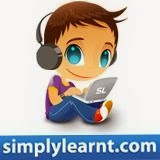 we have cleaned up Simplylearnt.com. Now you can find important, questions, tests, discussions and even topic wise tests for all all engineering/medical exam very easily on this website. All you engineering and medical aspirants, we would like to present to you this new website with all our best wishes. Happy Preparing and Good Luck!